DEAR MAYO CLINIC: I have given blood for 25 years, but just recently, I received a letter saying I could not give blood for six months because of an inconclusive hepatitis B test. What does this mean? Will I be able to give blood in the future? ANSWER: The notification you received means the test used to check blood donations for infectious diseases detected that there’s a possibility you may have hepatitis B. But those tests aren’t designed to diagnose medical conditions, so that result does not necessarily mean you have the disease. Make an appointment to see your health care provider. He or she can talk with you about any risk factors or symptoms you may have and help you decide if you need additional testing. If you don’t have hepatitis B, it’s likely you will be able to donate blood again. In the U.S., the U.S. Food and Drug Administration requires blood donation centers to take a number of steps to ensure the safety of the nation’s blood supply. Before donation, those steps include requiring donors to read specific education materials, fill out a medical history questionnaire and undergo a brief physical exam. After donation, the safety process continues by testing the donated blood for certain infectious diseases. To maximize safety, the tests used for blood donations are highly sensitive. It’s important to note, though, that they are not the same as the tests your health care provider would order to see if you have a certain disease or condition. The tests approved for blood donations are significantly more sensitive than their diagnostic counterparts. That means, in some cases, they may generate a positive result where the disease is not present. Health care providers call this a false positive. With hepatitis B — an infection that can be passed through blood and other bodily fluids — blood donation centers must run a battery of tests that include checking blood for the hepatitis B surface antigen, antibody to hepatitis B core antigen, and a test for the hepatitis B genome. But, again, the fact that one of these test results comes back positive does not automatically mean you have hepatitis B. 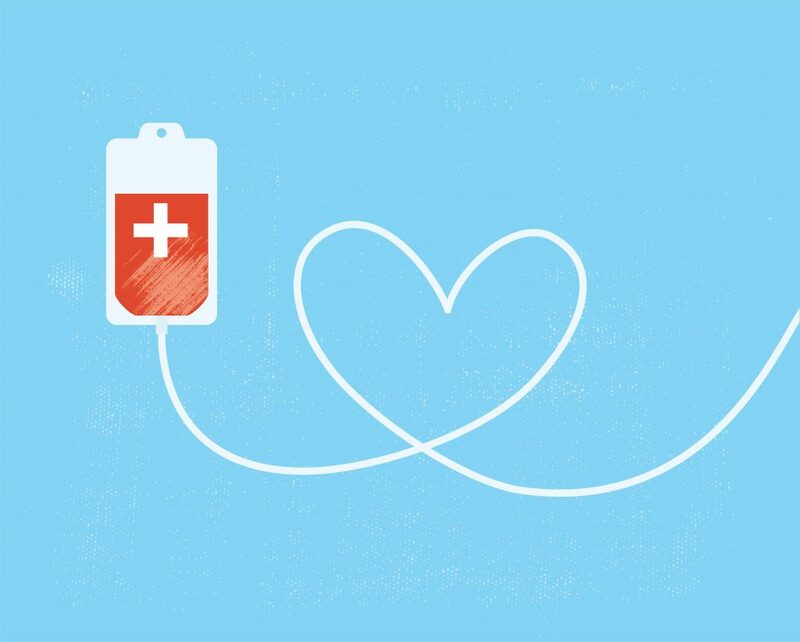 Research shows that blood donors are generally at low risk for hepatitis B. Most blood donation test results that come back flagged with the possibility of having the disease are, after additional evaluation, found to be false positives. Although it’s unfortunate that a number of donors have to be notified of false positive test results, which can cause stress and concern, the high level of sensitivity in the test is necessary to maintain the safety of the blood supply for all those who receive the blood donations. Talk to your health care provider to find out how best to proceed in your situation. If you or your health care provider have questions about the information you received from the blood donation center regarding your test results, contact the center for more details.